All winter and spring you’ve been hiding under your layers. But now the first beacon of summer – Memorial Day – has passed, and summer is officially in full swing. It’s time to finally shed your layers for warmer weather! If your diet hasn’t been up to par and you’re worried about shimmying into a swimsuit, don’t despair? there’s plenty of time to lose weight the healthy way and shed your cover-up with confidence. Don’t wait for next week, Monday, or even tomorrow. Finish this article and set out to make positive changes right away. Setting up a ?start date? can backfire, since many people overeat in anticipation of cutting back for an upcoming diet. The trouble is, too many false starts and ?last treats? can add up to hundreds of extra calories, not to mention lots of frustration. Remember, dieting isn’t about ditching all of the things you love to eat – it just means eating less of them and replacing the balance with healthy foods. Most people wouldn’t set out for a big adventure without a map, directions, or even hotel reservations. So don’t set out on a diet without simple goals; they are your roadmap to losing weight with success. Jotting down a few realistic expectations can give you something to aim at. Want to wear a swimsuit to a party you know is coming up later in the summer? Do you have an upcoming vacation planned, and you’d like to feel confident lounging on the beach? Make a diet road map and get going! Choose a doughnut, and you’re more likely to continue to choose less-than-healthy picks throughout the day. Choose a healthy breakfast that gives you an energy boost from whole grains or fruit-based carbohydrates, plus protein to sustain you, and you’ll set in motion a day of better choices. Your breakfast does not have to be time consuming or fancy – cereal and milk with fruit or a whole grain English muffin with 2% cheese and an apple are perfect. Sometimes it’s easy to confuse hunger for thirst; staying properly hydrated can be a big diet help. In fact, a 2005 University of North Carolina study found that people who drank about 6 1/2 cups of water ate nearly 200 less calories throughout the day – not to mention the fact that your body requires water to work well (which includes burning calories). When your body is working the way it should, it’s easier to find the motivation for exercising, cooking, and eating right. If you’re not eating mindfully, it can tough to figure out why you are eating; are you hungry, stressed, sad, or bored? Try picturing a scale where 10 means you’re ravenously hungry and 1 means you’re not hungry at all. Before you eat, think of the scale and consider where you are on it, then match that assessment to how much you will eat. For example, if your hunger is at “1,” you really don’t need to eat – but perhaps need another diversion like taking a walk or responding to a few friendly emails. And while you’re eating, keeping a hunger scale in mind will help you stop eating before you are over-stuffed. If you find that, say, a package of Oreos tempts you into eating too many, get rid of them! It’s OK to have a splurge every now and then, even when you are trying to lose weight. But sometimes it’s just easier to have a single splurge, like going to the ice cream shop and enjoying a cone, rather than buying a carton of ice cream to keep (and tempt you) at home. 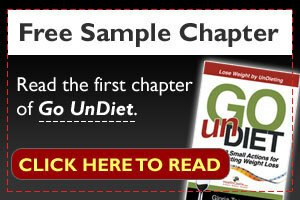 Sometimes it’s easy to feel unmotivated to make a change to your diet if you are tired of eating the same old foods. So, try a new recipe using healthy ingredients. Take a trip to the store (or better yet, the farmers’ market) to inspire a culinary creation out of some of the beautiful, fresh, and super-nutritious produce finds that are ripe and delicious this time of year. Those bites, licks, and tastes can really add up to big calories! Make this your mantra: if you bite it, write it. You may be surprised at where you are taking in extra calories that are keeping your weight loss efforts from taking off. Plus, a journal makes it easier to find times during the day that you can pinpoint stress eating or overeating; you can then use the journal as a tool to devise a solution to diet-destroying eating patterns. Commit to making some healthy changes now! Most importantly, find the combination of motivators that gets you started and keeps you going. Make this your summer to lose weight for good! Beth Sumrell Ehrensberger is a Registered Dietitian and holds a Master Degree in Public Health. An experienced nutrition counselor, writer and public speaker, Beth specializes in translating complex nutrition information into practical concepts. Beth was awarded a Nutrition Communications Fellowship to the National Cancer Institute, and has worked on the internationally recognized Nutrition Action Healthletter of the Center for Science in the Public Interest.